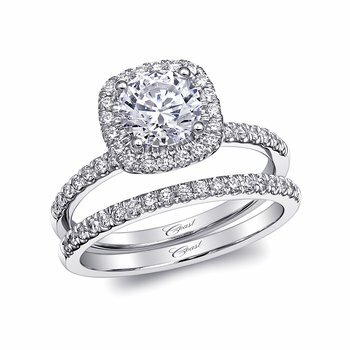 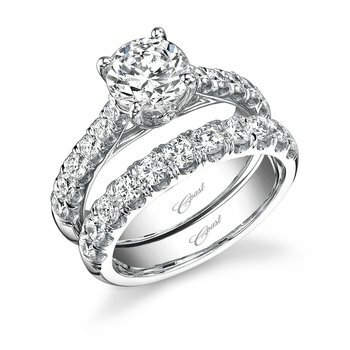 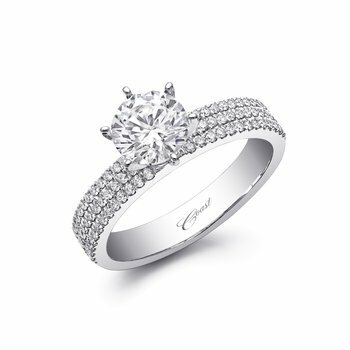 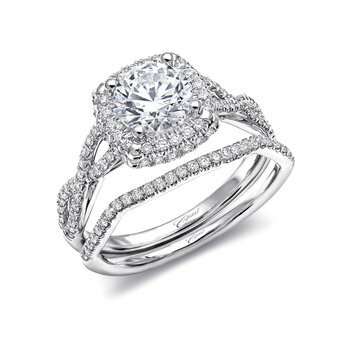 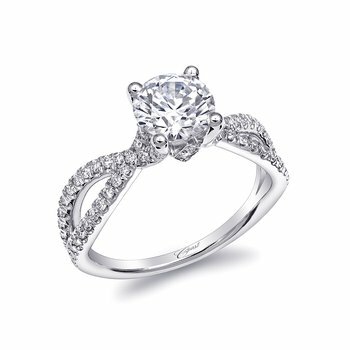 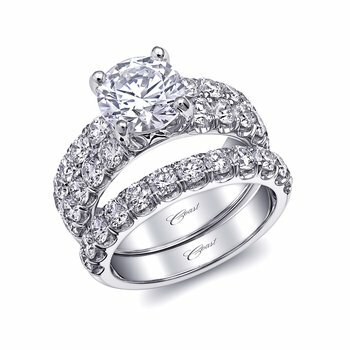 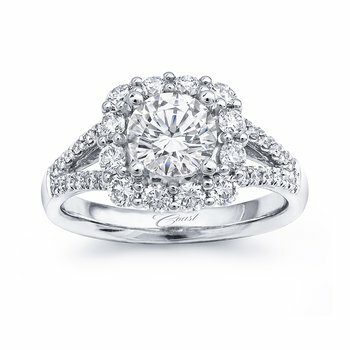 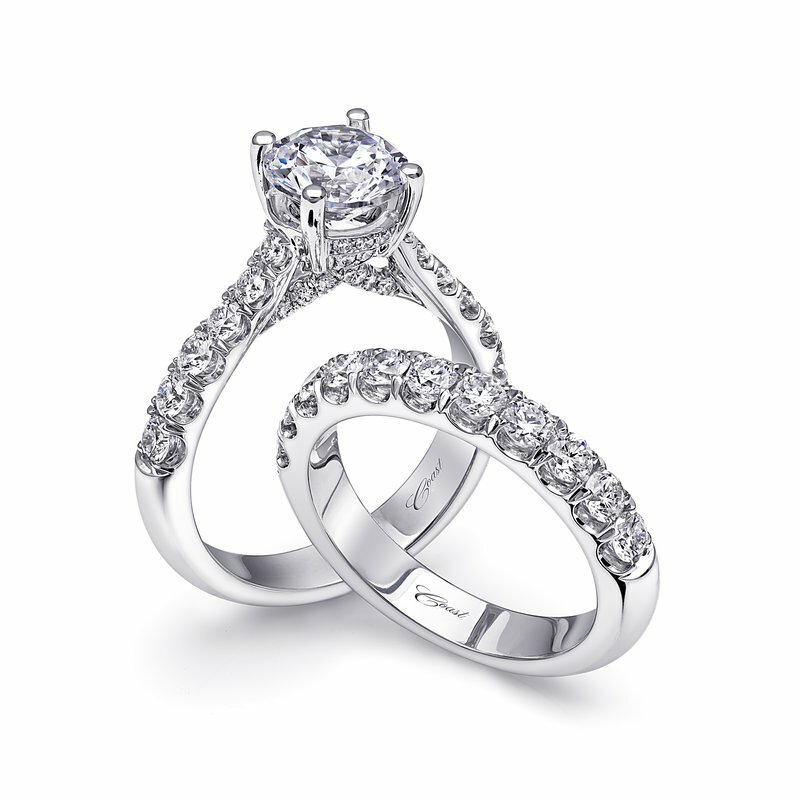 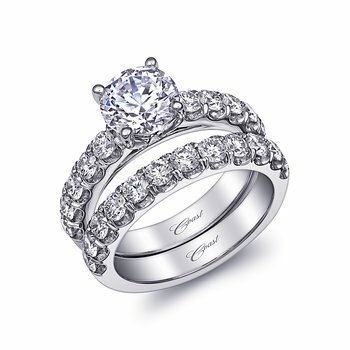 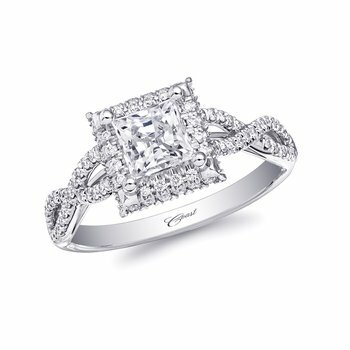 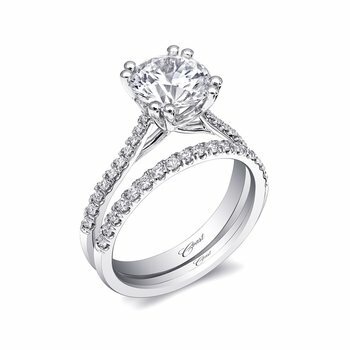 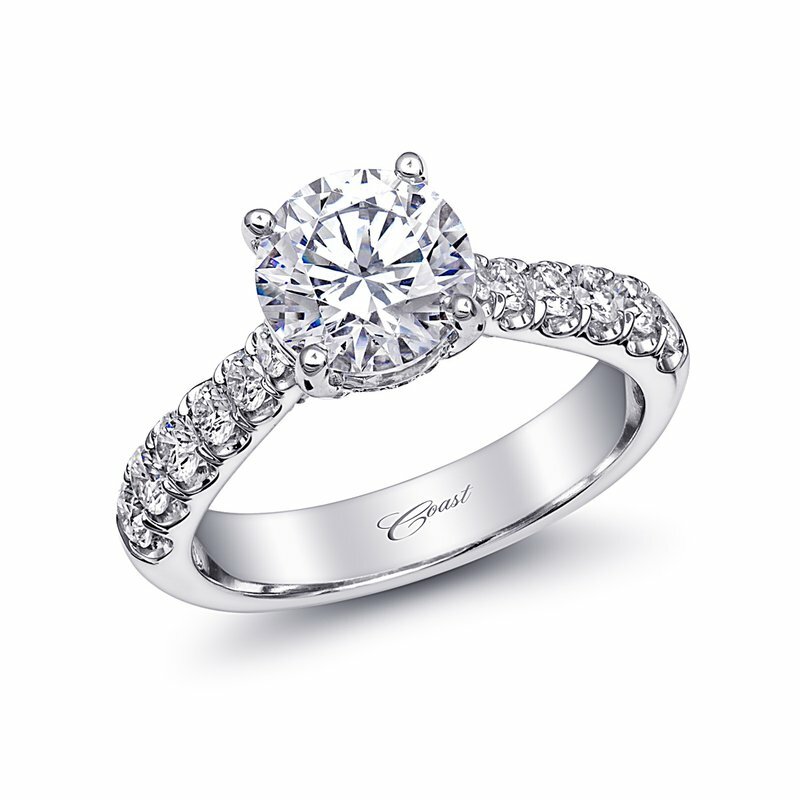 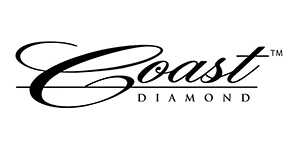 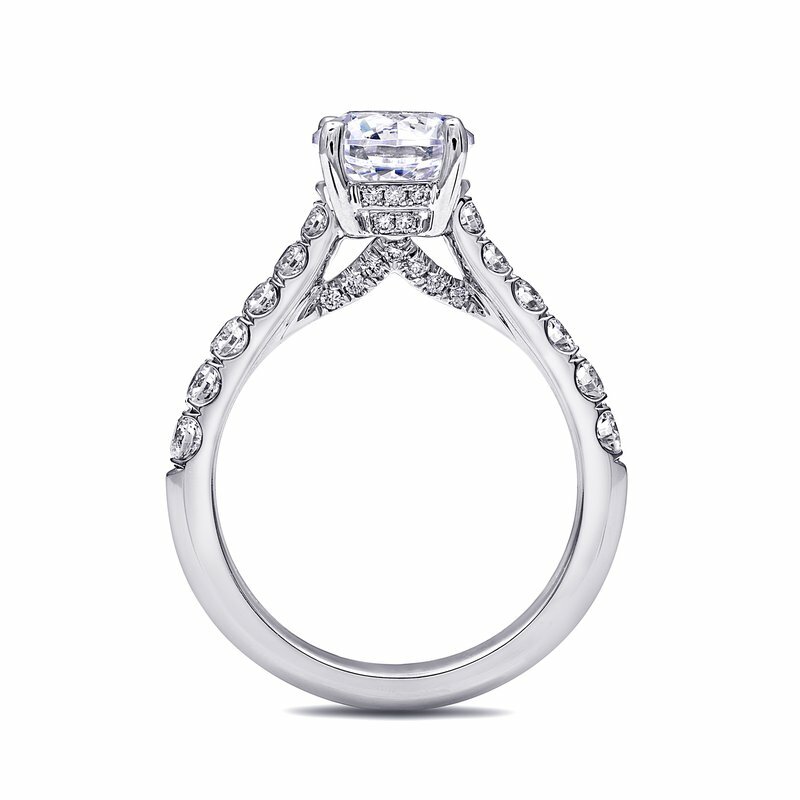 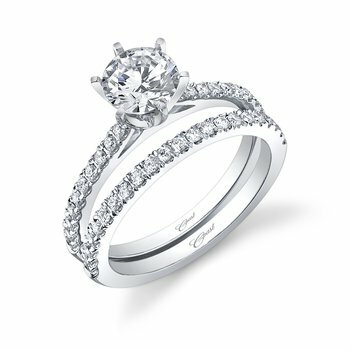 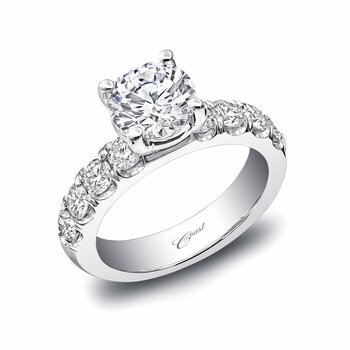 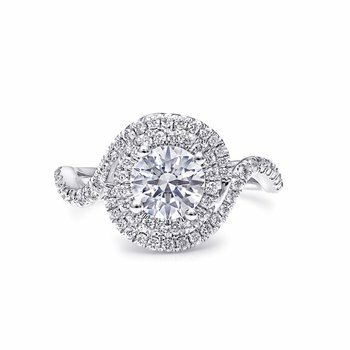 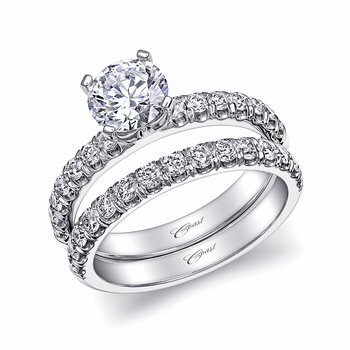 One of Coast's top favorite styles, this engagement ring is the ultimate statement of glamour and elegance. 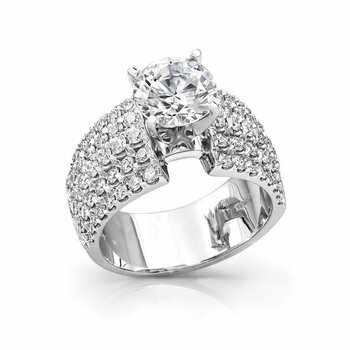 This spectacular ring features a 1.5CT center stone and diamonds cascading down the shoulders of the ring. 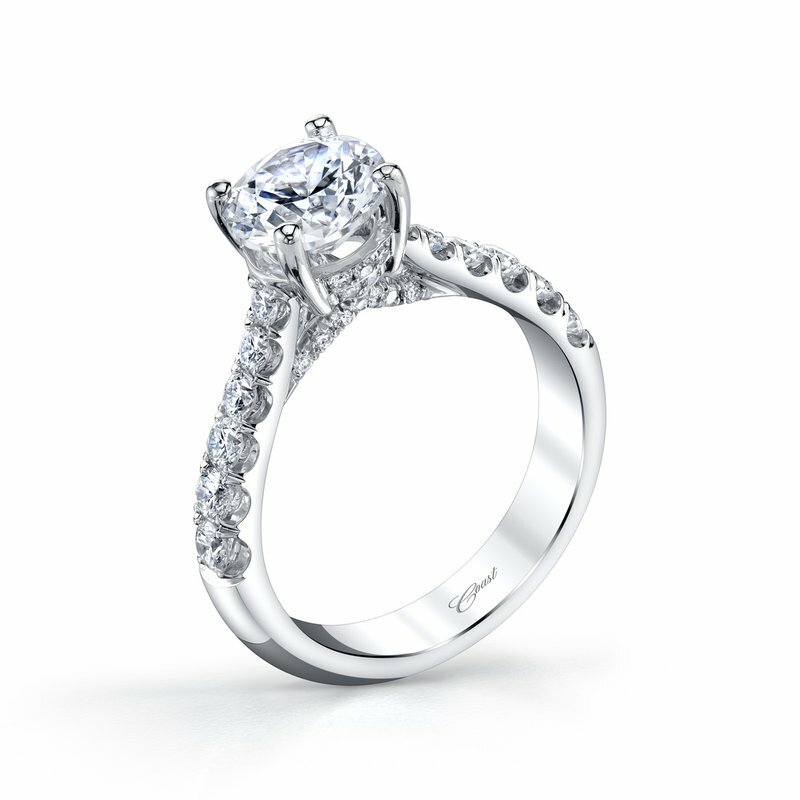 The side of the gallery is encrusted with petite diamonds.